Well, hello there! I can’t tell you how glad I am to be back here with you, sharing some more sweets and recipes and hearing about your baking adventures too. 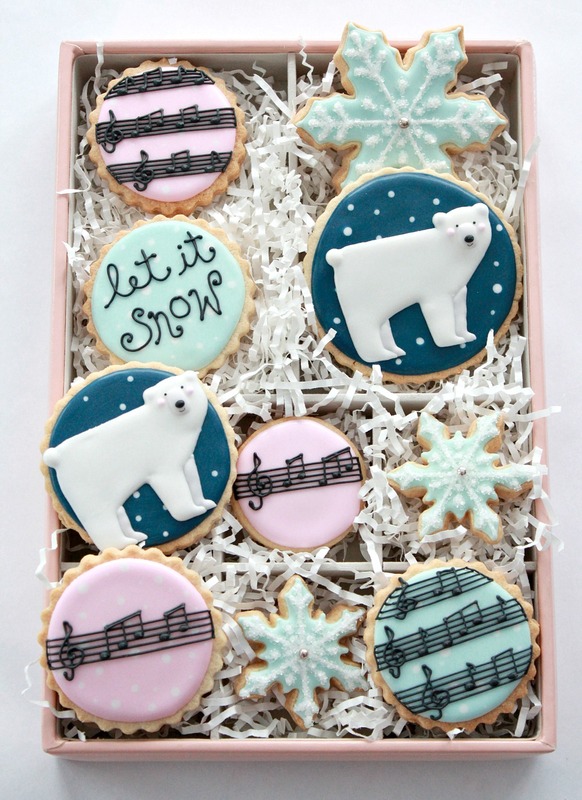 I don’t know about you, but the oncoming winter and holiday season has put me in the mood to bake and create. As a result, I’ve got a new, buttery, nutty-flavored cutout cookie recipe for you, Almond Hazelnut Sugar Cookies. Perfectly paired with royal icing, it’s my new favorite. 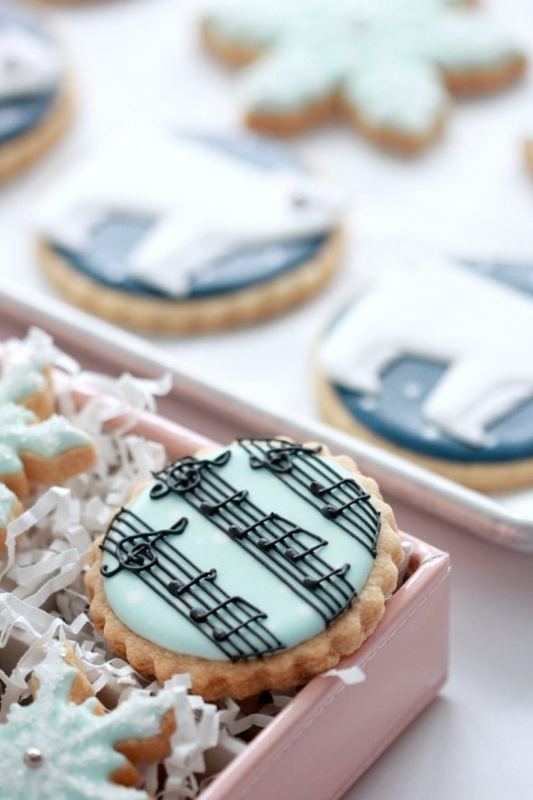 The classic sugar cookie with a twist, and it holds its shape for the cookie decorating canvas. 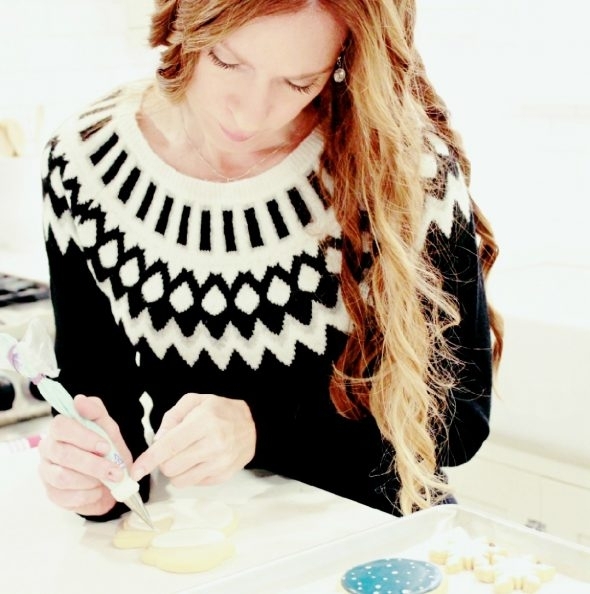 I’m sure it helped contribute to the wintry themed cookies I’m sharing today – I’m loving my new sweater from Ricki’s! Anyone who knows me well knows I love clothes, so I was happy to combine two of my favorite things in one place. As a lovely little bonus for my Canadian friends (I’m sorry to my international sweet friends! ), I’m hosting an Instagram giveaway for a $50 dollar gift card from Ricki’s! To enter, follow Ricki’s on Instagram @rickisfashion, and leave me a comment on Instagram (here) letting me know you’ve done that. Tag a friend in another comment on Instagram for another entry. (Giveaway begins 9:00 am EST Thursday, November 23rd, 2017 and goes until Friday, December 1st, 2017). Hope that’s as clear as mud! 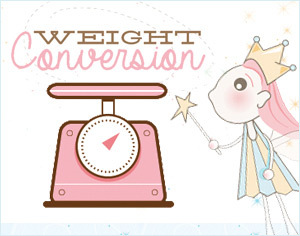 Let me know if you have any questions in the comment section below, and happy baking and shopping! 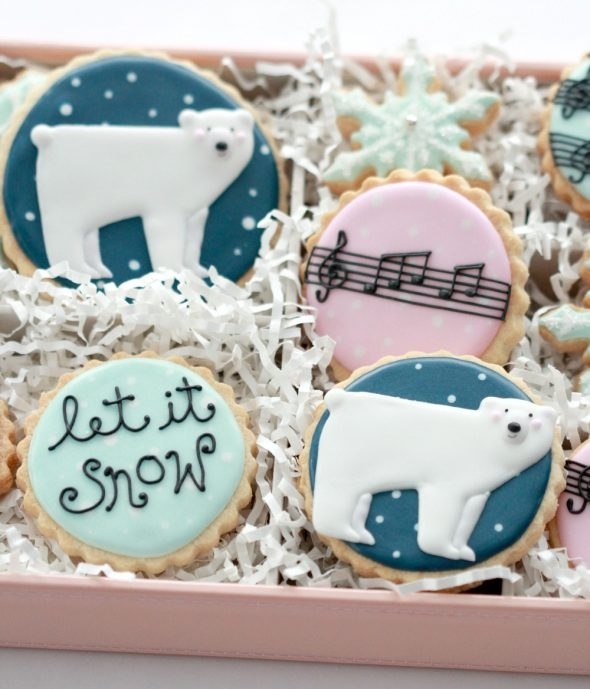 Below are all the recipes, decorating tips and tools you’ll need to make these cookies. I’ve shared some of my basic cookie decorating tutorials and flooding and piping lines, but please let me know in the comment section if you have more specific questions about these cookies. Thanks to C.R. Gibson for the cookie design inspiration! The polar bear and color scheme are from a set of holiday stickers made by them. Cream the butter and sugar together in the bowl of an electric mixer on low to medium speed. (Use the paddle attachment). Mix until thoroughly incorporated - for about one minute. Scrape down the sides of the bowl with a plastic spatula and mix again for a few seconds more. Over mixing the butter and sugar in this step will cause too much air to be incorporated into the dough. If you'd like a light and fluffy cookie, that's ideal, however the dough will spread more during baking; not ideal if you'd like the cookie to hold its shape. Add eggs slowly and mix. Scrape down the bowl with your spatula at least once and mix again. Add almond extract. Stir to incorporate. Place your dry ingredients in a bowl and whisk together. (All purpose flour, hazelnut flour and salt). Add all of the flour mixture to the bowl. Place a large tea towel or two small tea towels between the edge of the bowl and the electric mixer so that the flour won't escape. Mix on low speed for 30 seconds. Remove the tea towels and observe the dough mixing; when it clumps around the paddle attachment it's ready. It's also important at this stage not to over mix the dough (the glutens in the flour develop and the dough can become tough). Butter - The butter needs to be soft, or room temperature. I leave mine out the night before I do my baking. If you forget, you can grate the butter on the largest hole of your box grater, so that the sugar and butter will mix together better. Baking powder - I don't use baking powder or any other leavening agent in my cutout cookie recipes because the dough will spread and rise more during baking, thereby making the shape of the cookie less crisp. Chill your dough if it gets too soft work with. Read these tips here on stopping dough from spreading. 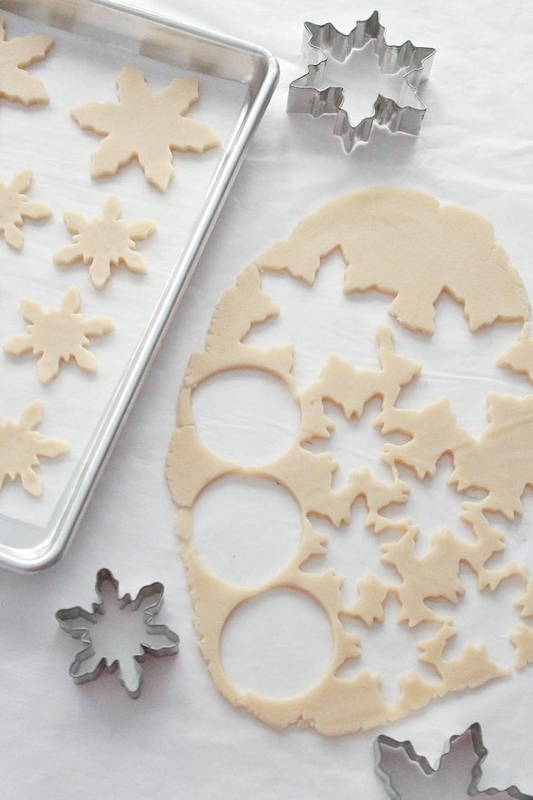 Tips on stopping cookies from spreading during baking. Thank you for your beautiful creations, your skills that you share with the world. I cherish you to the moon and back. Thank you Niner! I cherish you to the moon and back too! Hi Marian, I love it, you are back! 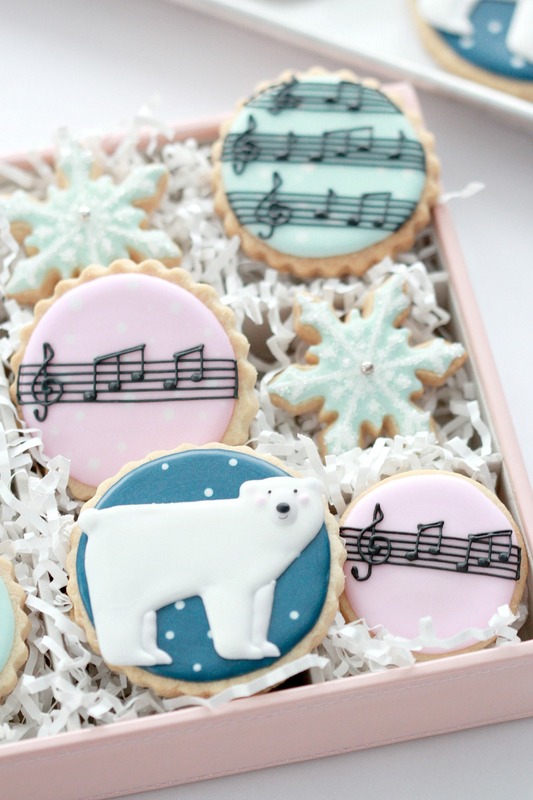 Stunning how you decorated your cookies! 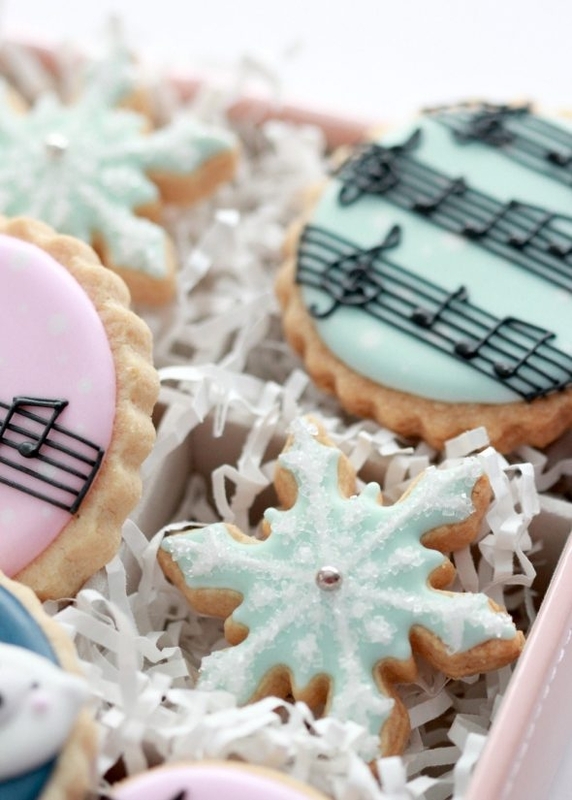 Very helpful hints, how to create and bake the best looking cookies! Beautiful work again! Good to “see” you again! Definitely a change, no more B&B! :) Glad you have more time for cookies! It really is nice to see you here, although we’ve never even met in person. Yes, you can buy it at Goodness Me (a health food store, not sure if it’s in your area), a bulk food store, or at your local grocery store – you’d have to ask the bakery employees if they have some you could buy… Sometimes they do, sometimes they don’t). p.s. You can also make it yourself if you like… just buy the hazelnuts without the shell and grind them up (I have a blendtec blender… it does help to have a nice blender). Thank you so much Dafne! 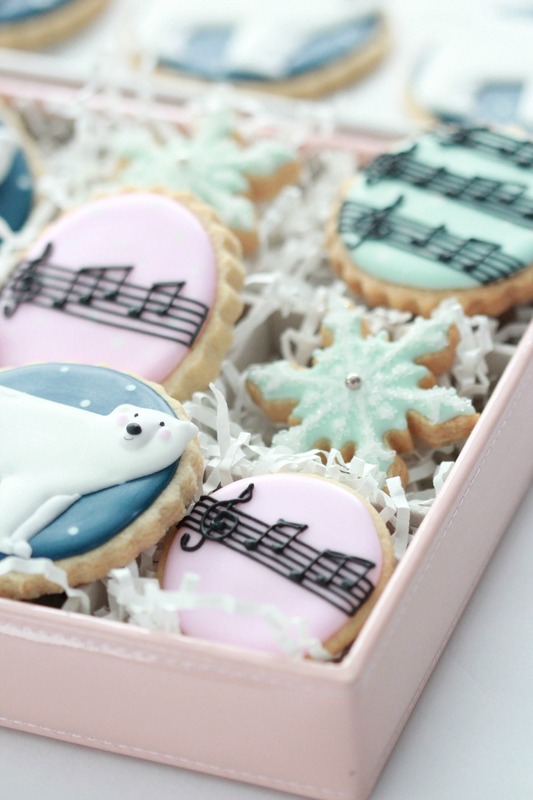 Amazing designs and So Beautiful cookies! and I love the fact that you are back!! 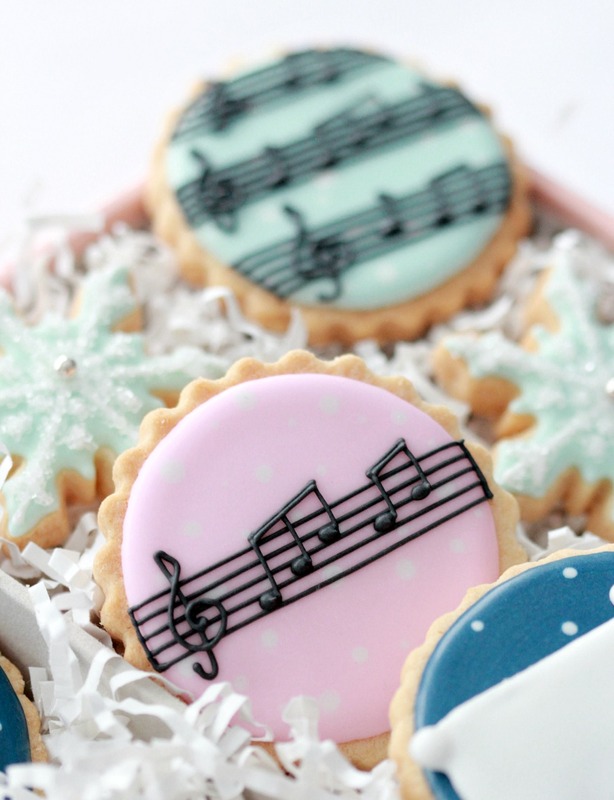 I was hoping to see a video on the music notes cookies…. Thanks for commenting! I appreciate you! I just posted a short video on Instagram and will try and embed it here now. Happy baking! 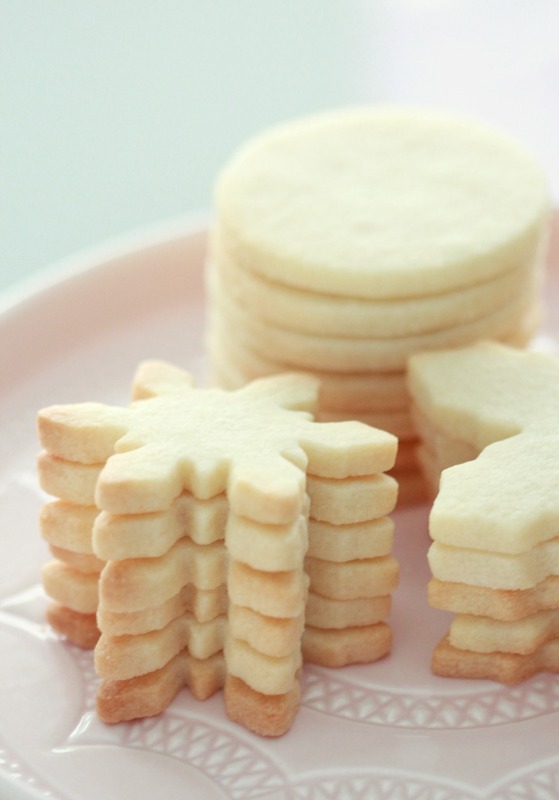 And such a good twist to regular sugar cookies!!! I will be making this tomorrow but haven’t purchased the ingredients yet.. If I don’t find hazelnut flour, can I use almond flour/meal instead? Good morning Marian. Can I use almond flour instead of the hazelnut? I have a big new bag of almond flour that I need to use. Hello Marian, I made this recipe last night, delicious. They really spread, I had to make the hazelnut meal out of hazelnuts,I sifted and strained the hazelnuts really good. I put the cut outs in the freezer for 10 minutes. What do you think I did wrong. 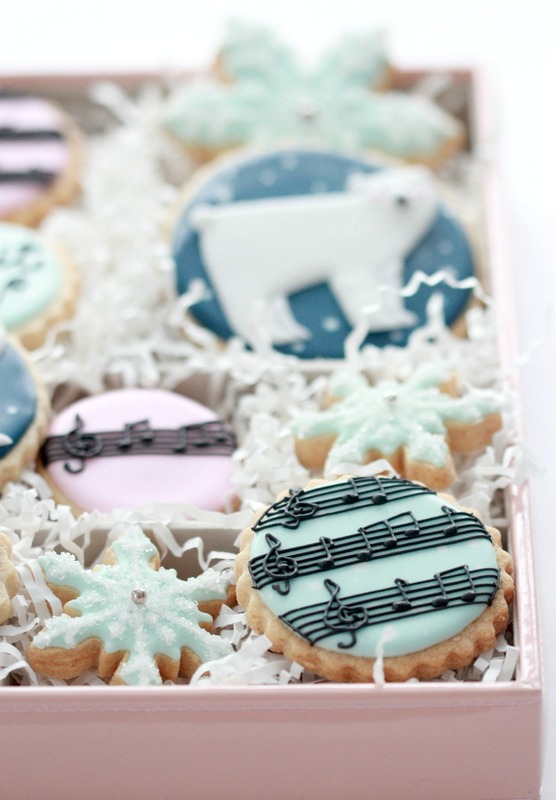 I absolutely adore your decorating skills and you sugar cookie recipe is amazing. I am curious about this recipe, can these almond hazelnut cookies be made in advance and frozen then thawed prior to decirating? I’m concerned the nut may make the cookies texture change after freezing. Hi. Is there a tutorial of the polar bear?